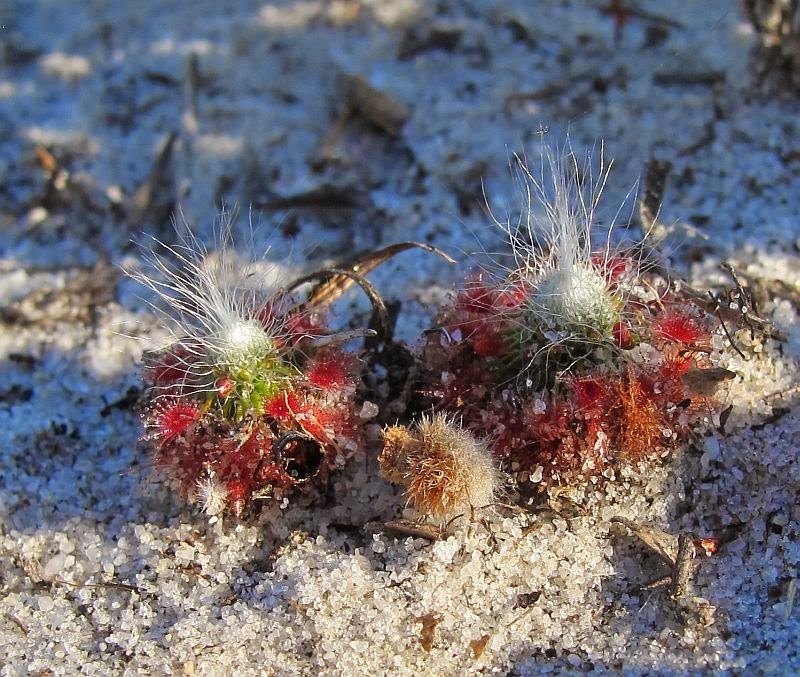 This locally endemic, perennial pygmy Drosera is very common around Esperance in near coastal, non-calcareous, deep white sand, especially east towards Cape Arid. 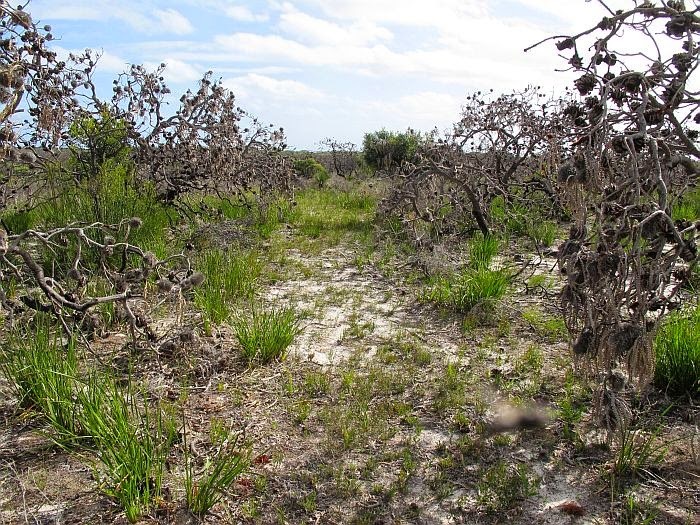 Apart from the soil type, it is highly adaptable, being found on low sandy rises around swamps to small sunny clearings on the tops of gentle sloping sand hills, commonly associated with Banksia speciosa. 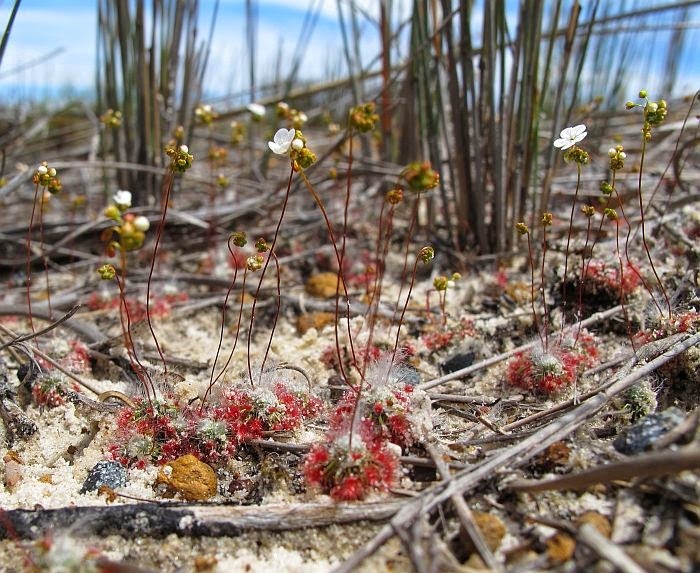 On sandy rises above flooded swamps, it is not unusual to find three Drosera species growing together, with D. pulchella occupying the lowest zones closest to the water and D. australis growing just above in a moist soil, whilst D. sargentii are above them in a better drained location. On hilltops, this species is usually located in small level clearings, where rainfall will soak into the soil and not run-off. 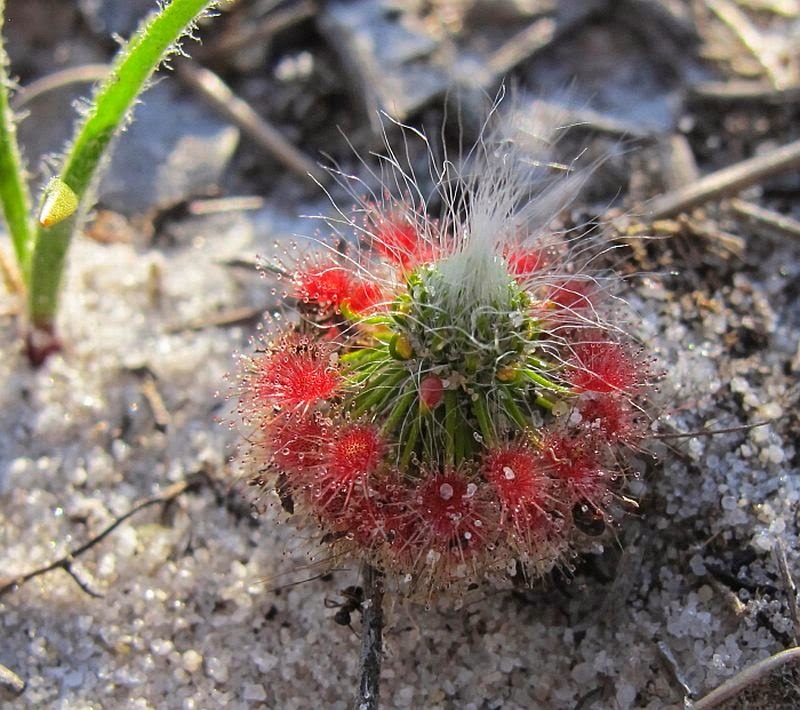 Drosera sargentii is very easy to identify, as the stipules have long white whiskery hairs that are quite distinctive, which collectively also form a characteristic stipular bud. 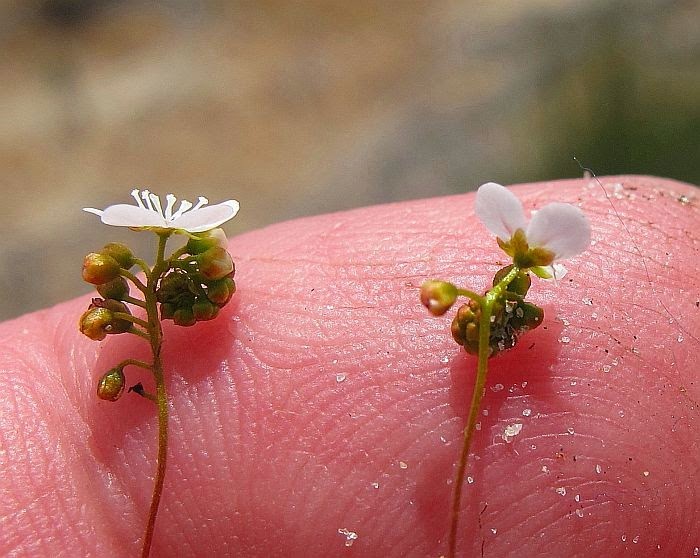 The number of flowers per stem apparently can number to 50, but locally they tend to be considerably fewer. 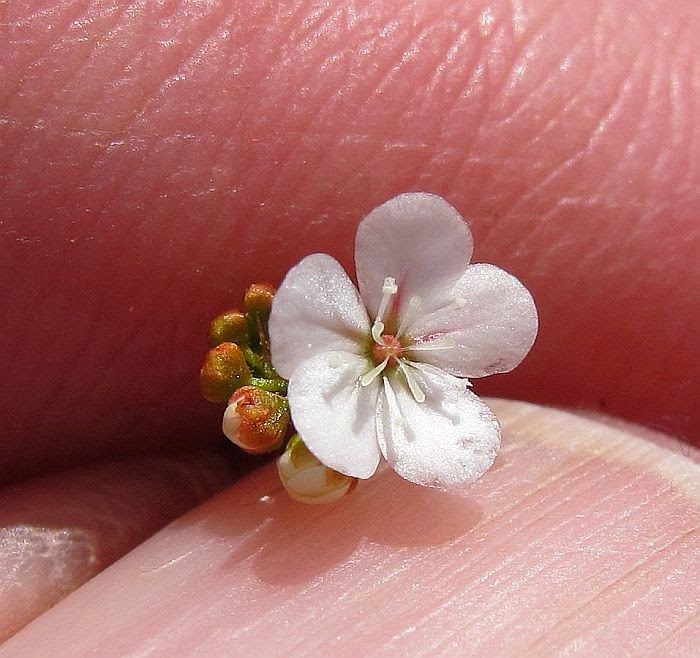 The flowers are white with pink markings at their base and petals are noticeably rounded at their summit. 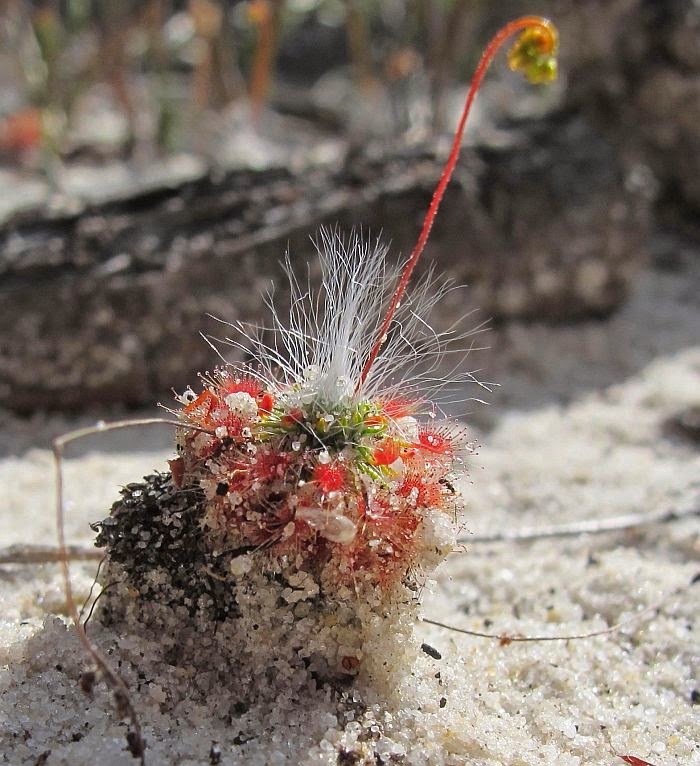 The rosettes are to 2 cm (3/4”) diameter and the flowering stems to around 5 cm (2”) in height, they usually flower during November and December and form open colonies that are mostly less than 10 square metres/yards in area. The habitat photo above had been burnt the year before, but the lightly slashed path (centre) and lack of fuel there had protected a Drosera colony.